When we met Helmi Ansari, founder of Grosche, we knew instantly that he was the kind of guy who builds special things. Grosche is a housewares company with heart. Every product sold funds social causes. Every single product. 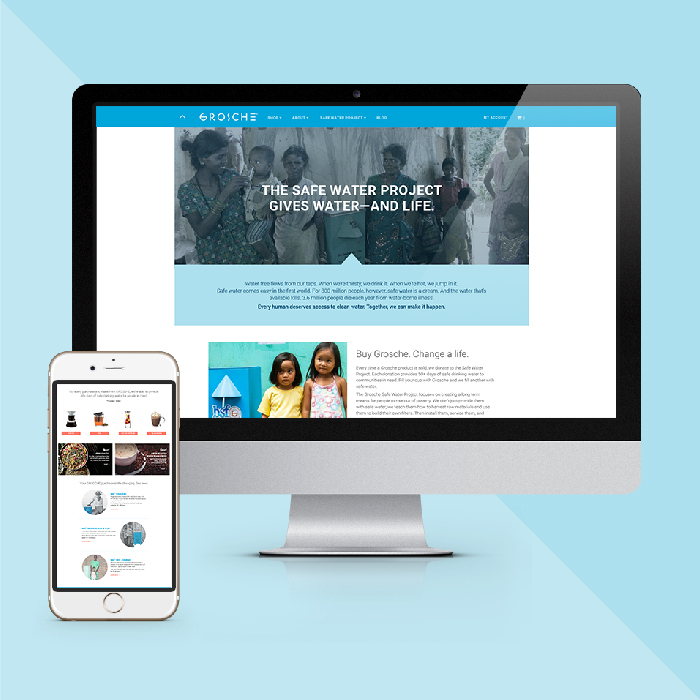 Grosche hired us to help guide their internal marketing team through a brand refresh. We oversaw and consulted on strategy, design, voice, and implementation. Their internal team executes. Grosche wanted to modernize an old logo that had history. 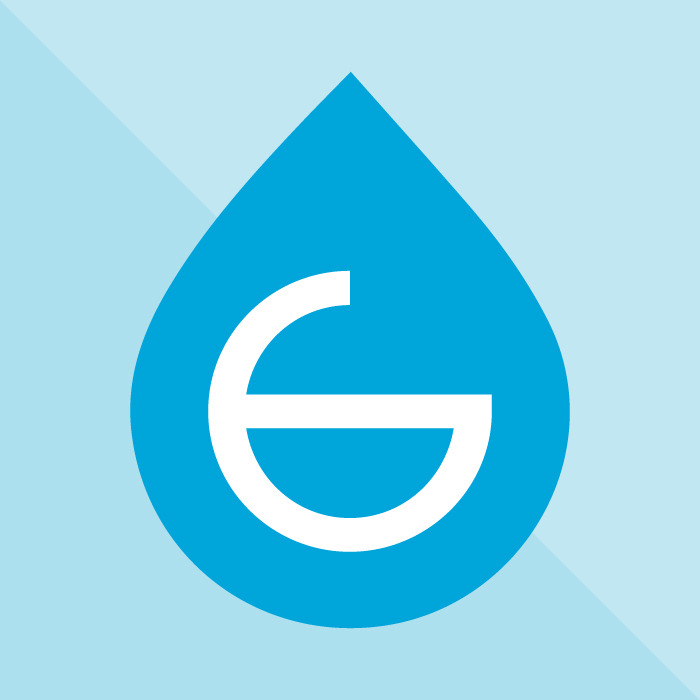 Working collaboratively with the Grosche team, we streamlined the font, consulted on water droplet as iconography, and helped relaunch a brand of heart and relevance. 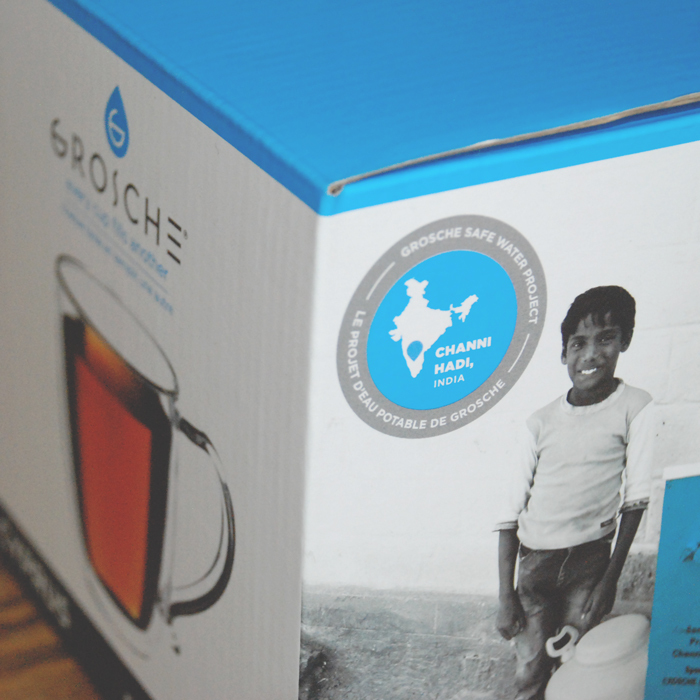 We worked with Grosche’s internal team to streamline packaging to compete for shelf space. 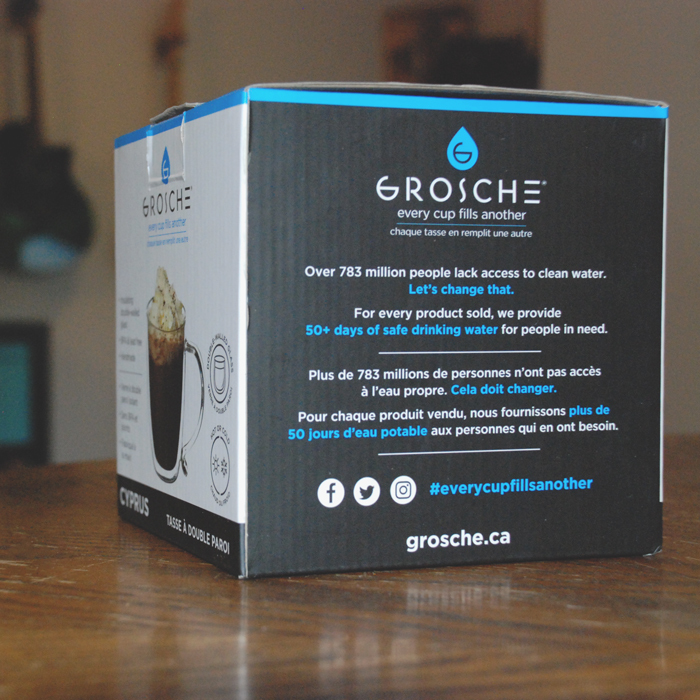 We helped Grosche define their brand personality and communicate it outward, specifically in a digital space. Grosche purchased a template and we helped them paint the box to be more consistent with their refreshed look and brand evolution goals.